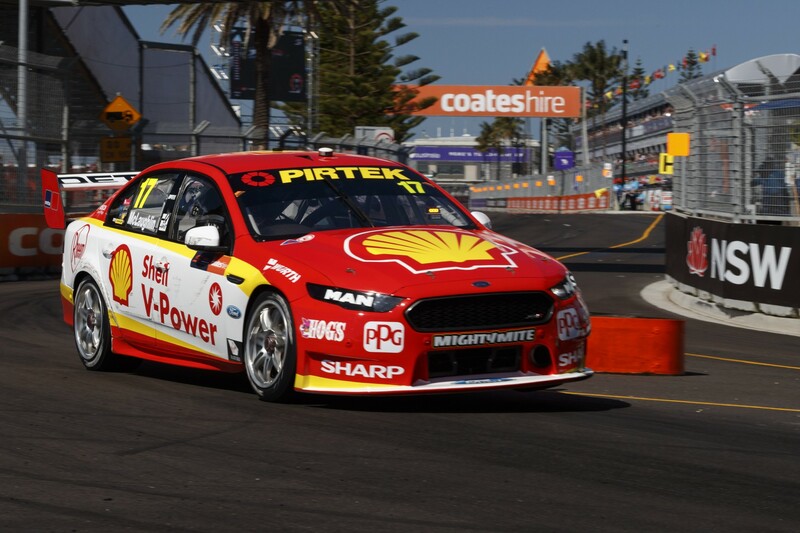 The founding team manager of Team Penske’s Supercars effort has made a timely return to the paddock for the season finale in Newcastle. Long-time Penske lieutenant Jeff Swartwout managed the now Shell V-Power Racing-branded team for its first two seasons under majority American ownership in 2015/16. Swartwout has made a career at Penske out of setting up new programs, having previously managed the birth of its Porsche sportscar and second-tier NASCAR teams. His tenure in Australia was always set at two years, after which he was recalled to the Penske mothership to lead its new Acura-backed IMSA sportscar entry. Swartwout’s two years of toil in Australia went without a victory – departing just as the squad hit its straps in 2017. The veteran says he was honoured by a surprise call-up from Roger Penske to join him on his trip to Newcastle, where the team is shooting for the drivers’ and teams’ titles. “For Roger and his team to invite me down to be a part of this again is very gratifying,” Swartwout told Supercars.com. “I’m just so pleased for the guys, to see all their hard work to start to pay off this year. It means a lot to me. “The foundation of the team was strong [when I left]. The calibre of the mechanics, all the guys in the workshop, was very, very good. “It just needed a couple of pieces that we got in Scotty [McLaughlin] and Ludo [Lacroix] to make the thing gel. “Fabs [Coulthard] and Phil [Keed] and those guys have been a huge part in keeping the continuity as well. 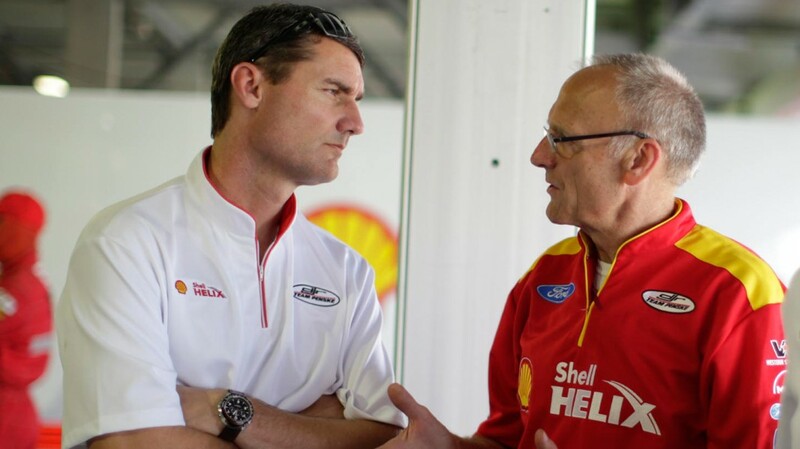 Shell V-Power Racing managing director Ryan Story stressed the importance of Swartwout to the initial efforts of integrating the Australian outfit into the Penske empire. “He’s made a massive contribution,” Story told Supercars.com. “In the early days, he really helped with the cultural transition in terms of allowing the locals from this side of the Pacific to understand what it’s all about and what the ethos was. “Further to that he’s a great leader of people and it’s a shame that the success we’ve had has been while he’s been in absentia. 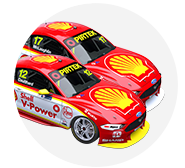 Shell V-Power Racing is currently without any of Penske’s American staff employed full-time in its Queensland workshop, with design engineer Richard Wilmot having also returned home this year. Swartwout, however, says Penske’s sportscar, NASCAR and IndyCar crews keep close tabs on the Supercars program. “The one thing is that I’ve told all the boys here is the amount of interest generated up north,” he said. “Everybody in the workshop is very excited and supportive of what goes on down here. “This weekend is going to be a barn-burner. It’s so competitive and it’s going to come down to who manages the races the smartest. “I don’t think you could have scripted a better scenario for the finale on a new track that no one knows much about.